Who made you the MM Police?! I love Midnight Mania boards. There’s something so awesome to me about just walking in somewhere, touching a board, and waiting for a gift at midnight. No hunting, no joining groups [usually], just touch a board and leave. But, there is fun to be had at MM boards. You can stick around and see when it goes into lockdown, talk to people, and just chill. Unfortunately, for a GOOD MM board, or a prize that people really really want, the scene sometimes just looks like this as it gets closer to midnight. I’ll say this right now… Fug loves a MM board. LOL! Seriously, go hang out at one sometime. It gets bad! Tyson and I like to sit on top of this one and cheer when people get on the board. We REALLY wanted these dinosaurs!!! Instead, mostly we saw stuff like this. If you look at the ears of the girl who wouldn’t rez in the pink thing, they were blinging for all they were worth. For some reason, bling always shows up even when their faces do not. The funniest/most irritating part of the MM boards are the self-appointed MM Police. The ones who stand around screaming for people to leave once they’ve hit the board to try to lessen lag, even though they themselves are still there. Or the ones who try to control the situation by telling people who can hit the board when. And then there’s the ones who tell everyone who hits it, regardless of where the person is standing, that they’re now on the board. One girl was very much doing this last night. Now please notice the time stamp of one of her first comments. [2009/09/25 23:29] Dixiecupp Denimore: I guess all of us who already hit it should probably leave…. to let the sim stabilize for other people to hit the board!!!! Did she leave? Nope. She kept telling people every time they hit the board. Dixiecupp got miffed because we did not appreciate her policing the MM board and the sim in general. Poor baby. Once you get your card, you can either wear it [it attaches to your hand] or you can attach to a free HUD spot. Personally, I like attaching to HUD spots. I had 3 cards to stamp after buying 3 hairs at Uncleweb Studios, so I attached them all to some open HUD spots and moved them around. That sheep avatar I’m wearing, btw, is a CSR gift from DPyumyum, which I got without having to stamp things because my friend Meara gave me an already stamped card and I ran out to get it. 🙂 Thanks Meara! If you don’t want to wear the cards on your HUD spots, you can definitely attach them all over your body. However, don’t attach a bunch and still attach more than 10 facelights. Then you just look like a doofus. Yes, every circled prim was a light. I inspected. Thank goodness I don’t have attached lights turned on. Anyway, however you decide to do it, get your cards on. You can wear as many as you have room for. Since I only had 3, we’re good to go. Go to one of the participating stores and look for a stamp machine. They’re not usually too hard to find, although in laggier areas I find that they rez last for me. But considering pretty much every store participating is a good one, you won’t mind looking around. 🙂 Once you find the machine, just touch it with a left click. It’ll tell you in chat that your card has been stamped. As you can see on my cards, I’m stamped! Then you just keep going around to all the stores that are on the website, finding the machines, and getting a stamp. You can go in order, or not, it’s up to you. Sometimes if I find that I’m stuck in the same pattern as someone else that I don’t like, I switch it up to avoid them. Hey, it’s how I roll. But the important part is to get all 20 stamps. It can be fun, and you get to meet people. Unless they’re like these people who decided to take a dance in the middle of a store. Once you get all 20 stamps, take your card(s) off and head over to the Event Hall. It will probably be laggy, so just chill and wait until everything rezzes. Find your card in your inventory and rez it out on the little space in front of you. Yep, just drag it from inventory and drop it down. That easy! It says right in front of you where to place it. Then the card will slide into the slot and the prizes will pop up. I recommend you go to the website first to look at them all in more detail to decide what you want before going to the vendor booth. You have a couple of minutes to look and decide once you rez your card. Only one card can be rezzed at a time! Once you’ve made your selection, it is delivered to you. Then you can rez another card, or run home with your prize. The Creators Stamp Rally is going on from now until August 31st, so go shop and get stamped! I have spent most of my SLife helping out new residents in one way or another. I usually enjoy it, depending on the person, and it’s just something that is very natural for me to do. To be honest, the majority of my friends are the same way. We get a kick out of it. So the other night in our group chat, we were discussing some free places for new residents to go to pick up some starter items. The Gnubie Store was really top of our list, and most of us head out there once a month or so to see if anything new has been added. 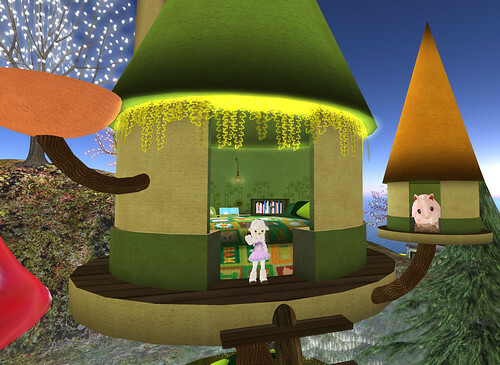 Gnubie’s has nice free/$1L items from great designers like Four Yip, Truth Hawks, Emma Gilmour, and many others. And most of the items are decently current, or at least pretty good quality. Naturally there is some junk, but not much. And the store itself is fairly easy to navigate, which is a huge plus. 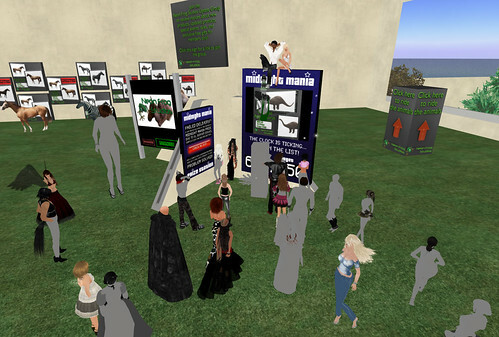 But we started talking about The Free Dove, which should be considered an SL Historical Site at this point. The main thing we said, however, was that most of the freebies at The Free Dove are…well…OLD. I got up and headed out there, looked around and inspected some boxes, and came home with this outfit. Isn’t it awesome? 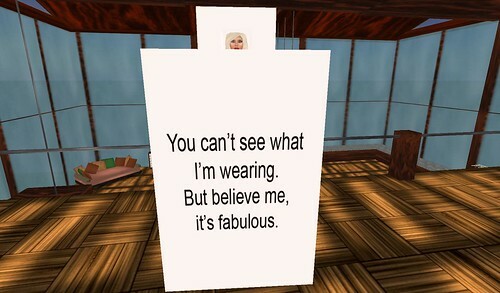 Doesn’t it make you want to learn more about SL fashion? Those seams! Those hems! The truth? It’s from 2005. At least, that’s what the box that it was in said. 2005!!!! Surprisingly, the store that this came from is still open in SL. I went out there and although I wouldn’t say the clothes are great quality, it’s obvious the designer has improved since 2005. And as I looked around Free Dove, it was the same. Some respected names, but the gifts they have out are their very first works. And honestly, if I were new and The Free Dove was the first place I went, I don’t know that I’d ever seek out the designers’ stores later to shop because I would assume that the items were the same. So the question is… Do designers just “set it and forget it?” Did they forget that they had a gift out there? I know they have to pay to have a gift there, which makes me think that they’d want to put something that is more representative of their work out on display. If they go to switch out the gift, do they have to pay again or something? I am happy that there are places like The Free Dove and The Gnubie Store, I really am. They are much better places than some freebie island with all the stolen and Business In A Box mess items. But c’mon…if you have a gift out at The Free Dove, make sure it’s something that represents you well. Don’t leave some 2005 mess out there. 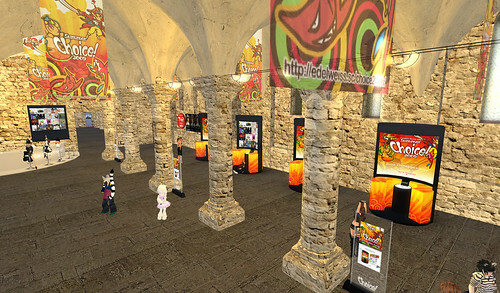 That doesn’t do you, or the residents who use freebies to learn about fashion in SL, any good at all. Wonderful Tuesday. 🙂 I am waiting on someone to get back to the computer, so I figured I’d blog while I waited. So did you guys see Aisuru’s post about anti-inspection measures being taken by an avatar who really, honestly, although she was cute, her look wasn’t so awesomely unique that she needed to HIDE it. Plus, most of us who know somewhat about fashion already knew where she got half her items. So…way to go? That led to this stupid item for sale on XStreet. Really? People are honest to god buying this? I can slap some transparent prims on myself for free. Supposedly it sends you an IM saying who clicked you, but only if you’ve been left clicked. And who left clicks when inspecting?? I have, as many of my friends have, found loads of stores by inspecting prims. That girl Aisuru caught…I *might* have liked her shoes and I may not have known where she got them from. Although I’m absolutely awesome with a camera, I probably wouldn’t have gone through the trouble of finding out where she got them, therefore I may never have found the store, and so the store owner wouldn’t get my $L. And when I wear something cute, usually my friends want to know where it came from, because that’s what we do with each other, and so there’s more money that the creator is not getting. Do you see how that ends up working? Anyway, so as stupid as I find that item, some of the girls were at a store earlier and the store’s owners were there also wearing anti-inspection devices – even though they were wearing their own creations. What the HELL? How idiotic do you have to be?? It’s your own stuff, it’s in your store, you WANT people to have that look, right? Or am I just completely wrong? Of course, we laughed about it and how we didn’t want anyone to steal OUR look either, so…. That’s right! The Anti-Inspection Gear will keep your fabulous fashionista look a secret! No one will know your soopa speshul soopa sekrit pants are from Armidi! There’s a transparent prim over the face hole too, just to keep those fashion burglars from trying to figure out where your lashes are from. You can pick yours up at WTFug HQ for free, because there just can’t be a price on protection.